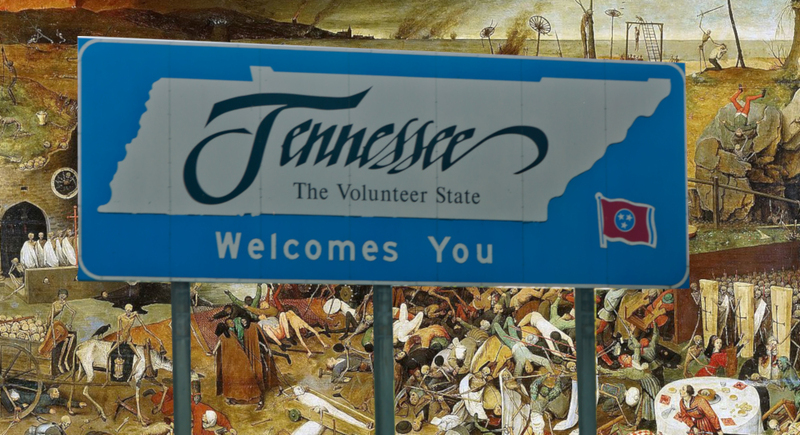 The state of Tennessee pays doctor-contractors by the case to review Medicare disability claims, leading to a situation in which doctors review four or more cases per hour -- and kick profoundly disabled and terminally ill people out of the program. Tennessee leads the nation in denied disability claims. Tennessee goes to great lengths to cover this up: they fired a whistleblower who raised alerts about problems in the program (and not just any whistleblower: Dr. John Mather was formerly chief medical officer for disability programs at the federal Social Security Administration before he retired and took up a side-gig as a Tennessee disability claims reviewer, only to have his contract renewal cancelled after he contacted the program's overseers with warnings about the process). Tennessee also cooks the numbers on denied disability claims: when calculating the time spent reviewing denied cases, they fold in the time spent by each specialist required to evaluate the claim, even if each of those specialists only spend a few minutes. They also tout a high degree of successful quality assurance spot-checks, without revealing that they overwhelmingly submit approved claims for double-checking, and don't typically double-check the denied claims. The doctors who check themselves into an office building and plow through disability claims can made a fortune, provided they work quickly: Dr. Kanika Chaudhuri has made $1.1m evaluating claims since 2013 ($192k in 2018); Jenaan Khaleeli (who reviews 4.5 cases/hour on average) made $209k in 2018 and $1.2m over five years (he denies nearly 80% of the cases he reviews); Dr. Frank Pennington has made more than $1m since 2013, while Dr. Thomas Thrush (a convicted felon who reviews a case ever 12 minutes), has made $2.3 million since 2013, while denying nearly 80% of the claims he reviewed. Among the doctors contracted by the state of Tennessee to review claims are at least two convicted felons; at least two more have had their medical licenses put on probation; another is barred from treating patients and has lost his license twice in the past 20 years.